Notes: Notes: In 1954 the former MSLR main line between Manchester and Sheffield via the Woodhead tunnel along with a branch to Wath was electrified at 1500v DC as part of a modernisation scheme. Indeed the project had been planned by the LNER but the Second World War had resulted in it being put on hold. 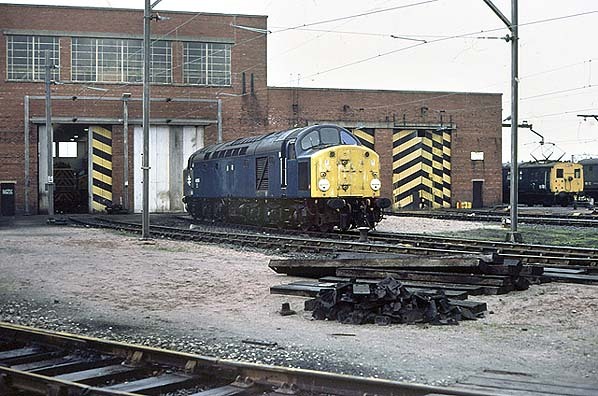 To operate the line new electric locomotives of the EM1 and EM2 class were built along with some Electric Multiple Units (Class 506) which operated a service between Manchester London Road and Glossop. To service the locomotives and the units a new Motive Power Depot was needed. 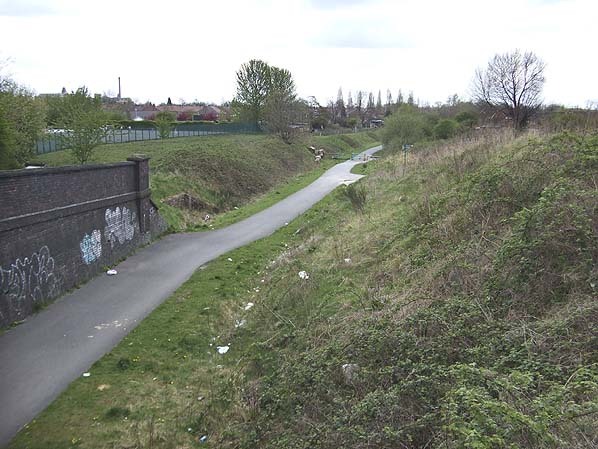 A location was chosen alongside the Fallowfield Loop line at Reddish. 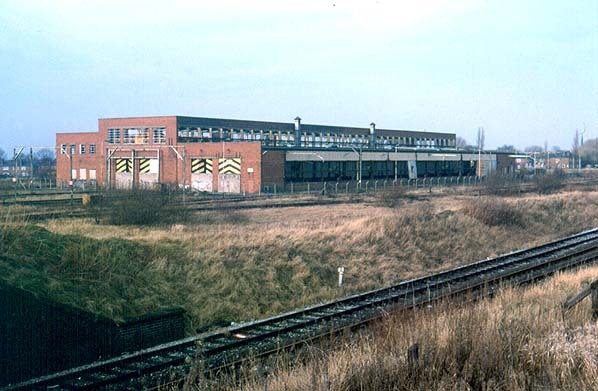 The depot opened in 1954 and access was controlled from the Hyde Road signalbox. During its years of operation it serviced not only the 1500v DC locomotives but also DC electric multiple units from the Merseyside area. 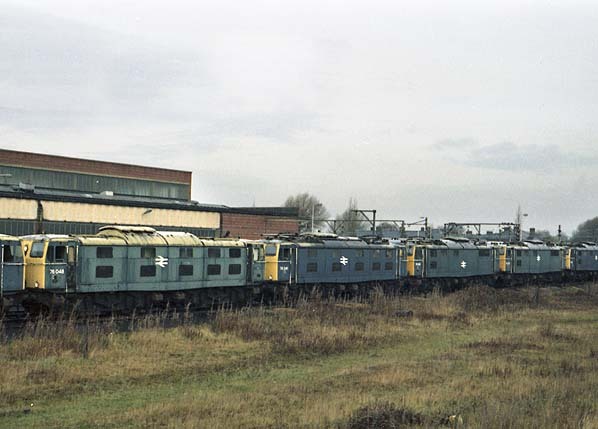 Diesel locomotives were also serviced at Reddish. In the 17th July 1981 the last EM1 operated over the Woodhead Route which was then closed. Reddish MPD lost most of its work. It continued to service the Glossop EMUs until 1983 when their route was converted to AC 25KV which was more typical of the electrification schemes that were develop from the 1960s onwards. 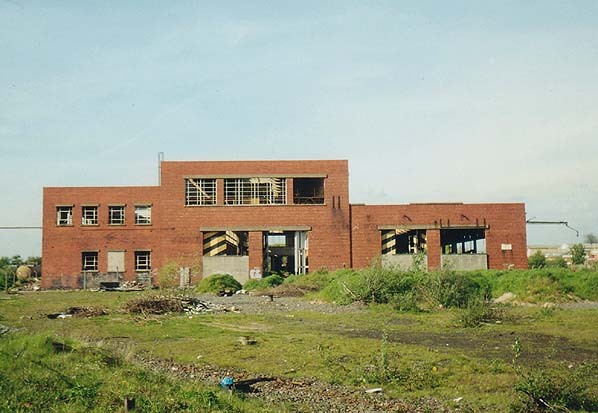 The depot closed on 30th April 1983. 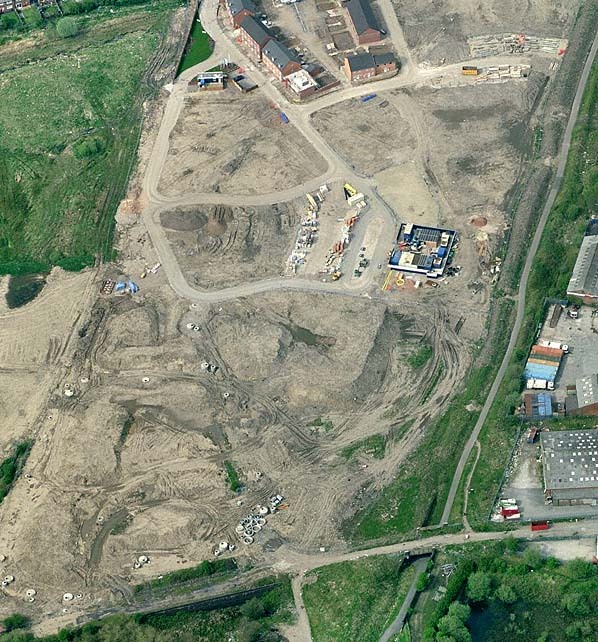 After demolistion the site lay derelict until the late 2000's when the site was redevelopped for housing. On a quiet Sunday morning January 16th 1977 76040 sits in front of the south side of the main shop building. The raised roof allowed for clearance of the overhead cranes that were used to lift components from locomotives under repair. 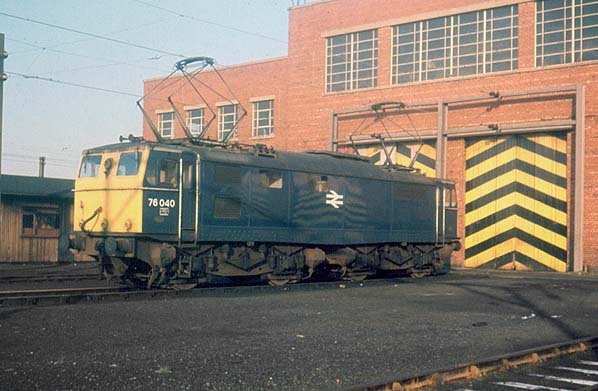 76040 was one of the Class 76's that remained in service until the mass withdrawal of the fleet in July 1981.